Darke County Center for the Arts will present award-winning a cappella group Six Appeal in concert at Henry St. Clair Memorial Hall in Greenville on Saturday, November 4; the show starts at 8 p.m.
Darke County Center for the Arts will present award-winning a cappella group Six Appeal in concert at Henry St. Clair Memorial Hall in Greenville on Saturday, November 4; the second presentation of DCCA’s Artists Series season, the show starts at 8 p.m. “These six appealing young gentlemen are not only outstanding vocalists, but are also very funny, so audiences are totally entertained as well as charmed by their amazing performances,” stated DCCA Artistic Director Keith Rawlins. “This sextet can and does sing anything, accompanied by only their own voices creating a sound that earned them the National Harmony Sweepstakes championship a few years ago and has won fans of all ages ever since,” Mr. Rawlins concluded. From their beginnings singing as a collegiate hobby, the group has evolved to become an in-demand act that performs everywhere from college campuses to state fairs to theaters and classrooms. 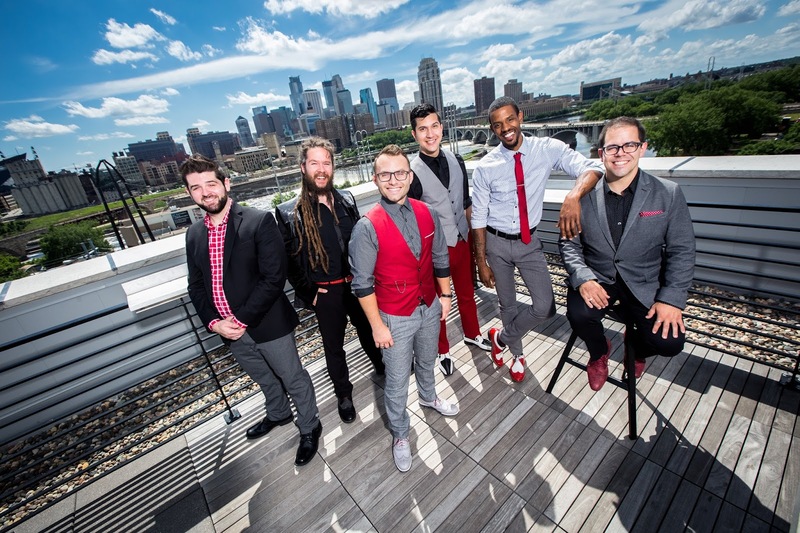 Consisting of Andrew Berkowitz, Michael Brookens, Nathan Hickey, Reuben Hushagen, Trey Jones, and Jordan Roll, the group has become known for their vivid musical style, unmatched energy, and playful charm. Their repertoire spans decades and genres, and includes pop, country, classic rock, jazz, rhythm and blues, and more. Sponsors for the concert by Six Appeal are Gordon Orthodontics and The Early Bird and Bluebag Media. This performance is made possible in part by state tax dollars allocated by the Ohio Legislature to the Ohio Arts Council (OAC), a state agency that funds and supports quality arts experiences to strengthen Ohio communities culturally, educationally, and economically. DCCA also receives support from the Ketrow Foundation, Lydia E. Schaurer Memorial Trust Fund, and Harry D. and Esther Stephens Memorial, as well as memberships. Tickets for the show cost $20, and can be obtained by contacting DCCA at dcca@centerforarts.net or calling 937-547-0908. Tickets are also available online at www.CenterForArts.net or may be purchased at DCCA's office located within Greenville Public Library. Tickets will also be available at the door prior to the performance.